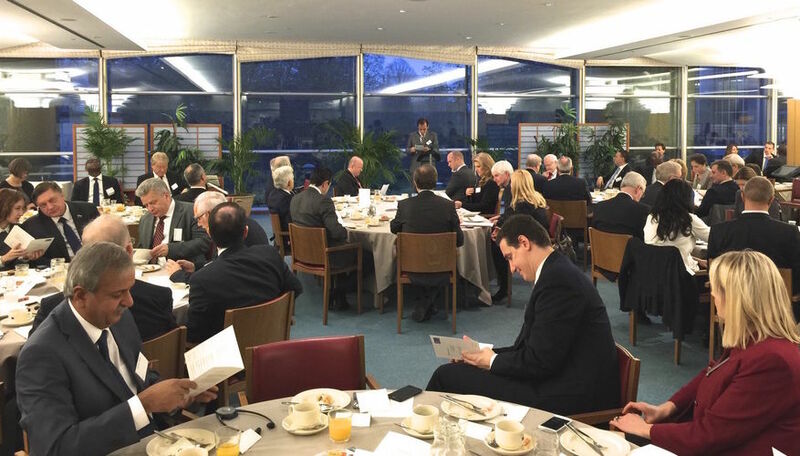 The 17th annual European Prayer Breakfast in the European Parliament in Brussels is taking place in this very minute. 500 top level politicians and church leaders from 25 European nations are gathering this morning forbreakfast and prayer. Right now, Dutch Member of European Parliament, Gert-Jan Segers, is speaking boldly on Jesus Christ who is the only one who unite the peoples of Europe. Croatian Member of European Parliament (MEP) Marijana Petir, and German Michael Theurer (MEP) are co-moderators. There have music presentations, Scripture readings, and testimonies that have impacted us all. Now we will enter prayer around tje table groups for peace tjrough Jesus Christ.